Today I have a set of postcards to send (to Turkey, India and 2 to Russia), and a letter heading to Australia I meant to post before I went away for a few days. 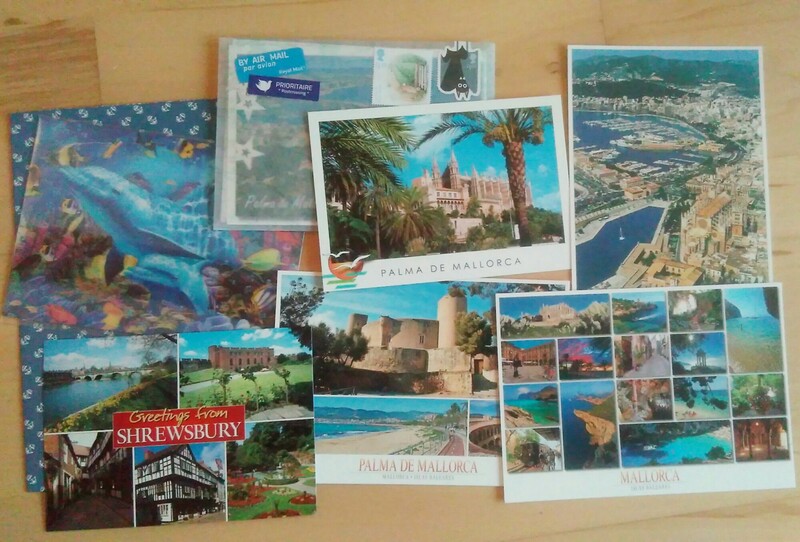 I had to open it up again and add another note and a postcard from Mallorca 🙂 I didn’t send any cards when I was away as I only had a few days to explore, so I’m sending a few from home instead. I’ve realised now I should have bought more cards, there’s only just enough to send to everyone I’d really like to… Also heading off soon are a couple of postcards accompanying a letter to Pakistan (once I’ve written the letter!). 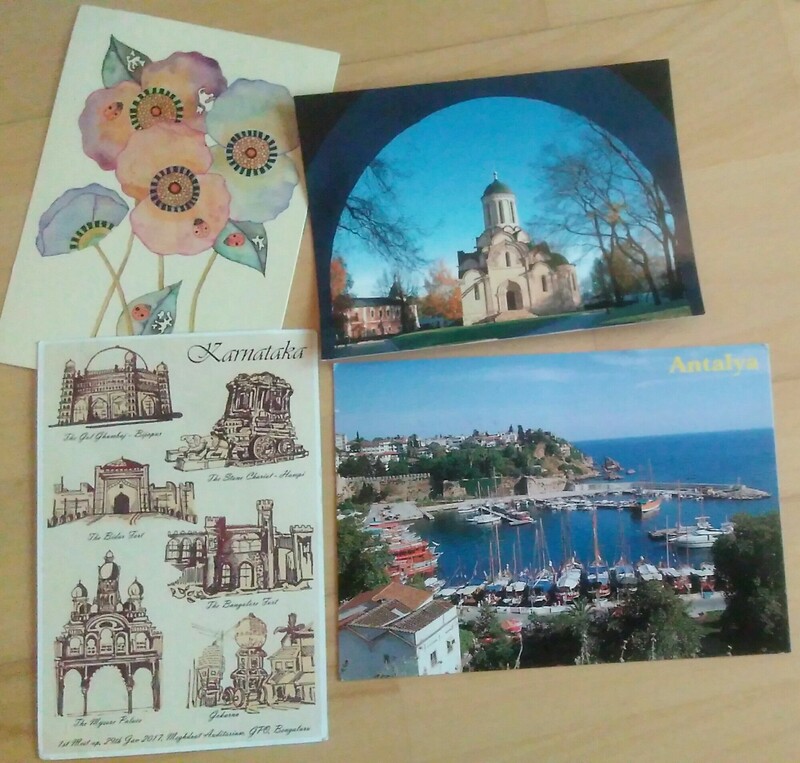 Flowers and a monastery from Russia; a postcard from the Postcrossing meet-up in Bangalore, India; and a view of Antalya from Turkey. This entry was tagged penfriends, Postcards, snail mail. Bookmark the permalink.